For a lot of people that own Neopets, it becomes a collection. Many people have the maximum of four pets, or if you are a premium subscriber, you have five pets. Sometimes all these pets are the same species, the owner's favorite species, just painted different colors. Sometimes they are all different pets that are the same color. But more often, they are a hodge podge mix of species and colors, with all different customisations and unique looks. Sometimes one is designated as the beauty pet, another as the Battledome pet, one as the Lab Ray pet, and the list goes on and on. Some owners even take this a step further, maxing out the amount of side accounts they are allowed to have and filling those with painted and customised pets. If you have premium and four side accounts, you now have the ability to have 21 pets! This builds quite the family to take care of, whether you feed them by hand or give them a luxury suite at the NeoLodge. This is a ton of pets to take care of but some owners love that, they love owning a little family and make personalized pet pages for each of them. Maybe some are just there as trading fodder on the way up the pyramid to the owner's dreamie. So many options. But there are some players out there who only have one pet. You go to their profile and scroll down to see what Neopets they have adopted or created, and right in the center there is only one. This confuses a lot of players, "why do they only have one pet?" There are actually many reasons for this, all unique to the player. 21 mouths are a lot to feed, but when you only have one you can get by on a budget. This is only one pet to feed, one pet to dress up, one pet to paint. This lets the user focus on other aspects of the site they may choose to spend their hard earned money on instead. Maybe the user has an extremely large shop, or a stamp album busting at the seams, or a gallery full of the rarest items that could compete with Illusen's collection. One of the easiest ways to save money is by reducing the number of pets you have to care for and dress up. Some players like to spread their love around to all their pets, though most have a favorite. Single-pet owners tend to focus all that love and attention on one pet. It's easy to neglect a pet when you have four others competing for your attention, but with just one it's easy to make sure they get their Sakhmet Solitaire time in. This special bond can be a bit strained when you are shooting for that Dice-A-Roo avatar and your pet keeps complaining he's bored of the game and wants to play something else, but that is the nature of friendship and you both have to compromise eventually. As I mentioned above, some people have a designated battledome pet, then another for beauty, etc. When you have one pet, you can focus everything on him or her. This pet can absorb all the training and grow to be super strong, while also reading every book in Neopia and topping the Booktastic Book leaderboards. Their fishing skill will also be very high, perhaps they also enjoy tons of gourmet foods. When you have one pet you never have to worry about accidentally feeding that two million Neopoint gourmet food to the wrong one! This also makes sure all the Faerie Quest rewards go to the right pet and that if you are visiting the Lab Ray you never zap your dreamie. And while there are many pros to only having one pet, there are also a few cons. If you are in love with the NC Mall and all the amazing wearables you can obtain around the site, having one pet may seem limiting. Most players who have one pet but love to dress them up are constantly changing the style. 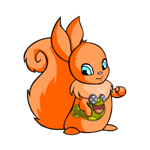 You may see this same pet on the Neoboards every day and they are always in a brand new outfit. They may even be a different color and species entirely, thanks to paint brushes and morphing potions. Every month when you collect your monthly freebies you'll get one food item per pet. If you only have one pet, you only get one food item! While this all balances out because each pet is going to eat that food, if you're someone who keeps their pets in the NeoLodge you will not be able to sell as many food items for some profit! When you visit your profile and there is only one pet there, there is a lot of blank space. It's almost like it's screaming to be filled with a colorful assortment of others Neopets. Backgrounds galore, all themed together and creating a beautiful aesthetic. This can be fixed somewhat through HTML and CSS, but some people still like that area of their profile to be a visual masterpiece of pets and outfits. At the end of the day it really comes down to what you enjoy. There is no right or wrong way to pet ownership, unless of course you are unable to take care of all of them and forget to feed them! It is all personal preference and what you want out of the experience that dictates how many pets you want to adopt. Some people are more than happy with one, while I've seen others shouting about how they wish they could have forty, fifty, or even more, which sounds a bit ridiculous to me. If you are considering new pets, definitely check out the Neopian Pound first. Though there are lots of benefits to creating your own pet, whether it's your first or fifteenth, there are so many pets stuck in the pound looking for a nice and loving home. Though they may not have the flashiest names, they have lots of personality and love to give, and can be morphed and painted into your dreamie just like anything you create.